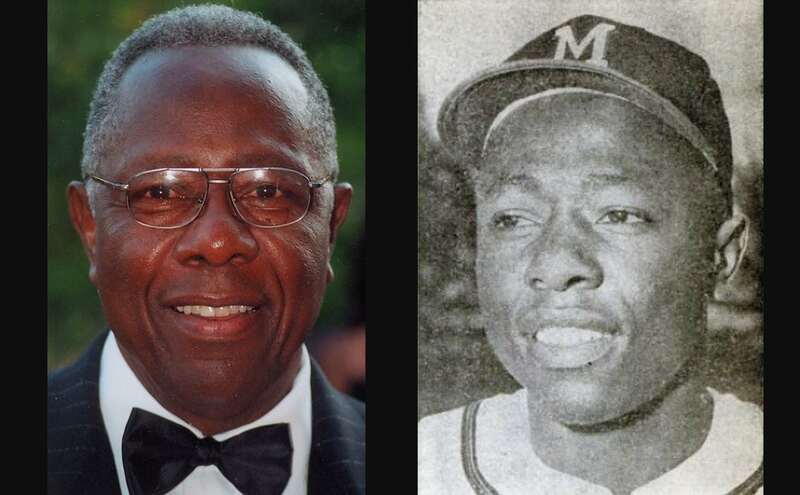 Happy 85th Birthday to Hank Aaron, one of baseball’s greatest players, and the only MLB batter to hit 30 or more home runs in 15 seasons. Aaron also conquered one of sport’s most cherished records—Babe Ruth’s 714 career home runs. For the next 30 years ‘Hammerin’ Hank’ reigned as the all-time home run king with his total of 755 (until it was passed by a steroid-enhanced performer in 2007). 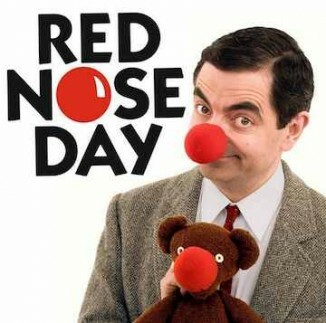 Also on the day in 1988, the British charity Comic Relief held its first Red Nose Day and raised £15 million for anti-poverty programs. Since then, the charity, which gives 100% of its donations directly to programs, has raised an amazing £1 billion for charity. 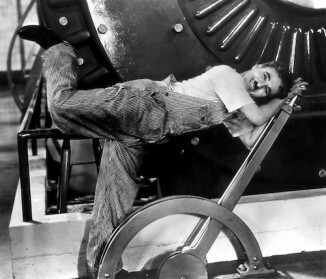 And on this day, in 1936, Charlie Chaplin released the last ever “silent” movie, Modern Times. Written and directed by Chaplin, the film portrays his iconic character, Little Tramp, struggling to survive in the modern, industrialized world. As a factory worker employed on an assembly line, Chaplin endures the dreary conditions many people faced during the Great Depression. Expected to keep pace on an accelerating assembly line, he tries to screw nuts onto pieces of machinery, whizzing past, but ends up suffering a nervous breakdown. He runs amok, throws the factory into chaos, and lands in jail where he gets into more mischief. WATCH the famous scene on the assembly line below, or watch the film in its entirety on YouTube here.